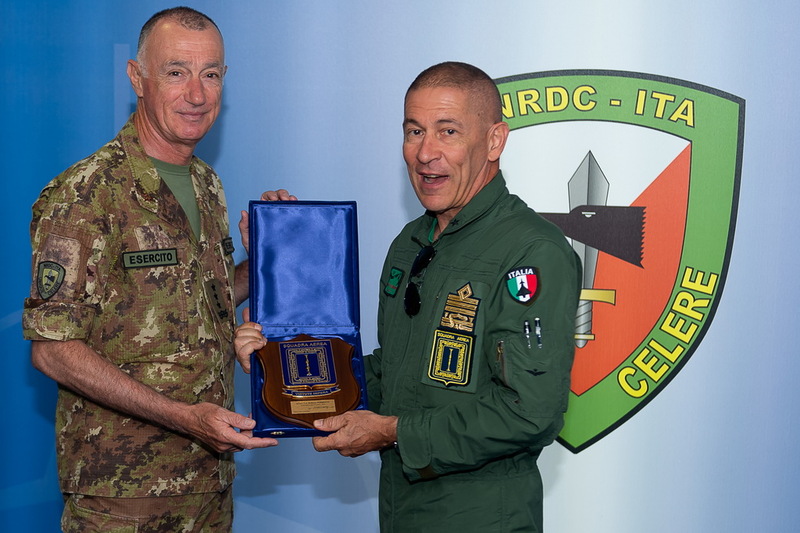 12th July 2018 – Air Marshall Fernando GIANCOTTI, Commander of the Italian Air Force Operational Forces Command, visited the NRDC-ITA. 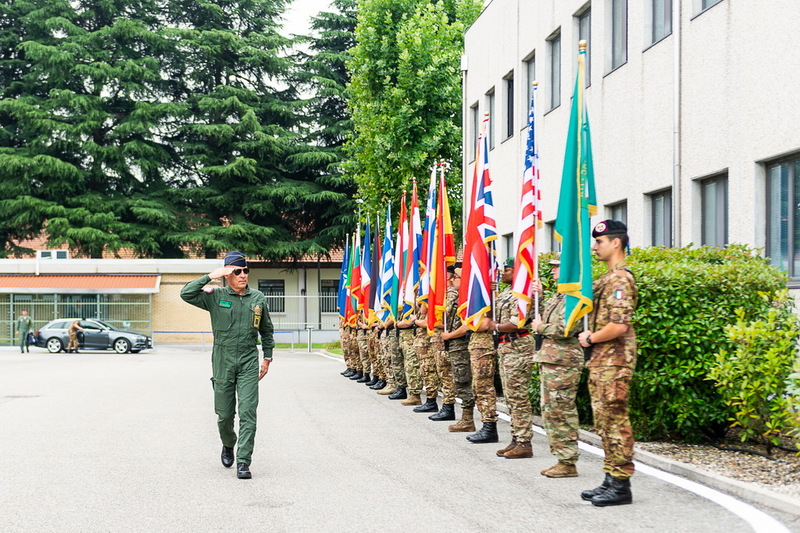 The visit is part of the activities scheduled to enhance cooperation between the Italian and Allied Armed Forces, in order to facilitate the integration of the different specific operational systems and assets. This allows the NRDC-ITA to effectively operate in a Joint environment. The 3 star Officer received a briefing about the contribution the NRDC-ITA grants to the Alliance by monitoring and analysing the threats coming from different areas of instability. During the briefing, a special focus was dedicated to the support the NRDC-ITA is providing to the Hub for the South. Its role is to analyse, assess and evaluate threats coming from the strategic direction South and it is located in the Joint Force Command Naples (JFC-N). The General was also briefed on the force readiness of this Headquarters, which from 1 Jan 18 has been the Land Component Command (LCC) of the NATO Response Force. It continues in this role for the remainder of 2018. 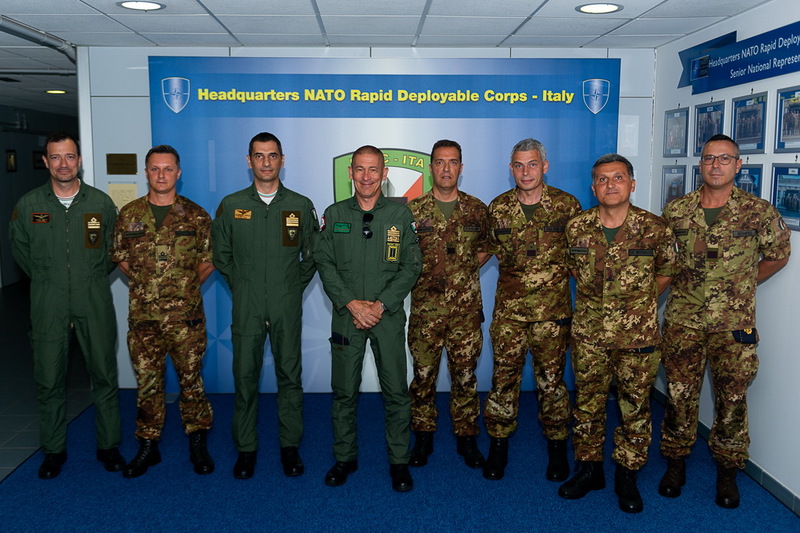 In addition, also the capabilities the NRDC-ITA has to undertake the role of Corps or Joint Task Force, in order to lead high intensity military operations under NATO, EU or a Coalition leadership. Towards this aim, NRDC-ITA conducts a series of training activities and exercises to maintain, together with the depending and affiliated Units, its high level of readiness. 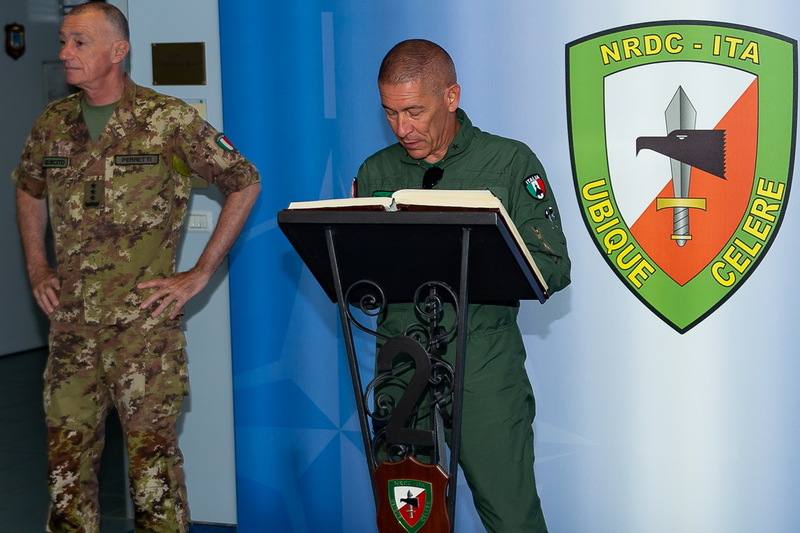 It is not by chance that NRDC-ITA has just finished a unique exercise, conducted for the first time in the international environment, EAGLE OVERLAND 2018. The exercise represented the first opportunity for one of the NATO’s High Readiness Forces to test the capability to deploy at high readiness, in accordance with the NATO standards. EAGLE OVERLAND 2018 has been planned and conducted by NRDC-ITA, together with other operational assets of the depending and affiliated Units. Among these, the Armoured Brigade “Ariete”, which is covering the role of Very High Readiness Joint Task Force Land (VJTF-L) for NRF 2018.